It’s that time of year when many people think about, plan for, and prepare for the rest of the work year. In this episode, Tom talks more on career planning, for you and your team members! Stuck in a promotion rut? You don’t have to be! Advice on how to plan for advancement. How to get your boss to notice you! Announcer: Becoming a Geek Leader, season one, episode seven. [00:01:05] Welcome to the Becoming a Geek Leader podcast. My name is Tom Cooper. As a geek, I’m on a mission to figure out better ways to lead others at work and at home. Through the Becoming a Geek Leader podcast, I’m sharing what I’m learning so I can help make you more effective at leading people, too. Ready? [00:02:04] I’m looking forward to sharing this with you today, and I also love to hear from you. So let me ask, how has this helped you? Are there other things you’d like me to cover? Let me know. Feel free to reach out. Now, let’s jump right into the mentoring segment. Tom: [00:02:36] I want to talk about how to be strategic when it comes to thinking about your career plan. Now, this is one of the problems that I ran into, in my career, was…I didn’t really think through how to create my career plan, and I didn’t know where I should be putting my time. And one of the mistakes I made was I took myself way too seriously, and I took my projects way too seriously, too. As I think back on this, I remember I was really passionate about the projects I worked on, and as I got engaged with them, I get excited about it, and I would think about the vision of the potential impact that my work could have, would have, and did have on the team, and on the department and the company. And man, the more I bought into that, the more excited I got, the harder I worked. It was all working together and things were going. [00:03:25] The problem I ran into was that I was sometimes too close to the trees to see the forest. I was so deep in the weeds on the work that I was doing that I didn’t see the business value of other projects or other things I was working on. I was so intensely connected to the work that I was working on that I didn’t realize how…well, there were limits to how valuable the work was that I was doing. [00:03:52] And I ran into another problem later in my career. I was working for a software company. We had a product that would deliver 5x ROI. We could get, for every dollar you gave us, we could give you $5 in savings. And this was something we could absolutely demonstrate, and if you paid us $1 million license fee, we could show you at least $5 million in savings. And so when we go out to sell this system, we really couldn’t understand why we had such difficulty getting people to buy. I mean, we could prove that we could save them that kind of money. They would have to be nuts to pass up 5x ROI. [00:04:28] Well, we did have successes. We could prove it. The system was really good, and our customers were happy. And we could show that 5x ROI. But here’s where we failed. Our customers were happy to save money, but in their world, a $5 million savings was helpful, but they were fighting battles that were $100 million or more than $100 million. By comparison, that $5 million savings was okay, but it just wasn’t a priority for them. [00:04:55] So what does that have to do with you and your work? Well, it’s all about the context. 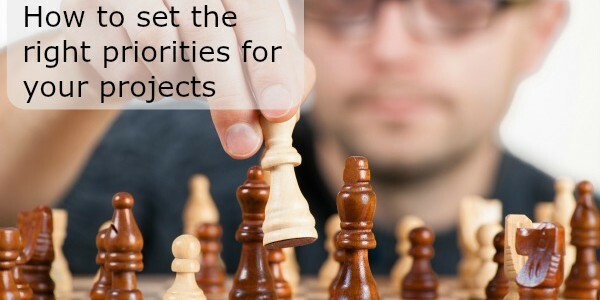 How do you put your work, your projects, up against the other projects that are going on? Does that really matter? I have to say, I struggled with this when I was in the corporate world. I got frustrated when the company wouldn’t staff my projects with enough team members to achieve my vision. Now, the problem there was two-fold. First it was my plan, not the company’s plan. And two, my stuff, while useful, would generate that $5 million savings I just talked about, it was unfortunately small potatoes compared to the big problems my company was facing. I was just too close to it. I just didn’t see how it tied in. [00:05:38] I remember I had a co-worker who was in a similar situation. He was the guy who was supposed to make sure that the operating system worked properly on all the computers in the company. And he was brilliant when it came to Microsoft operating systems. I don’t think there’s anybody who knew more about the hardware we bought or the software that we were using, and how it was configured. And man, did he get frustrated because the company didn’t invest enough to get great results. And he found himself constantly feeling overworked, and under-appreciated, and very, very stressed. [00:06:10] So my problem, in my career, his problem, in his career, and the problem I just described to the software company was we weren’t thinking like customers. We weren’t thinking about the cost versus the benefit. It’s not that what we were doing was bad, it just wasn’t as high a value or not as much of a priority as we thought it should be, and we couldn’t get the support for or the credit for the work we did well. [00:06:32] So when it comes to your career strategic plan, what you want to think about is how do you solve problems that the company really values in a big way? In order to solve those problems, first you have to understand what those problems are. And that comes down to looking at the strategic priorities for the company. Then once you understand what those are, you find a way to link the work you’re doing directly to those strategic problems. Now, in some cases, there’s not a link or there’s a not enough of a link, and that might be a time from a career planning perspective, to start to think about shifting, potentially shifting into a different role. But I’m kind of getting ahead of myself. Let’s go back and talk about understanding what the company’s strategic priorities are. [00:07:22] So what are they? Now, I’ll tell you, from my observation, most companies actually struggle with this. 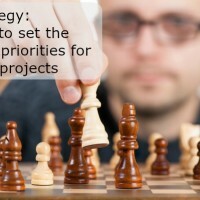 I mean, they might have some kind of vision statement or even some set of expectations they have, but they don’t have clear strategies and they don’t align their projects to those strategic goals. If you’re thinking, “Oop, that’s my company. We don’t have any idea what we’re doing.” That’s okay. If the projects you’re doing are not directly linked to strategic goals, you don’t have to wait for your bosses to do that. That’s something that you can do yourself. [00:07:59] The first question you have to answer is what problems is your company trying to solve? So are you in a big customer acquisition framework now, where you’re trying to get new customers, and you’ve got a big push on acquiring new customers? Are you in an operational efficiency world? Are you trying to make things better, stronger, faster for your existing customers? Is there a big project that’s going to be critical to success? I’ve got one client that has a big operating agreement going on right now. They have to hit their project cut-over in the right time frame, or there are massive financial consequences to the company. That one’s on the strategic list for this year for that company. [00:08:42] So you try to look at what problems the company’s trying to solve. Now, you can ask your boss. If your boss doesn’t know or doesn’t give you a clear and concise answer, ask your boss’s boss. Look at company press releases. Think about the goals or objectives set for your department or your division. Look at the initiatives that are going on and look for some themes. There are some big rock problems that you’re company is trying to solve and if you can identify what those are, that’s going to help you in a pretty significant way. [00:09:12] I’ll give you an example. Let’s say you’re working on operational systems and you’ve heard the company is trying to increase revenues, and one of the things that the leaderships has been complaining about is it takes too long to get new customers set up and working. Now, take a look at the projects that you’re assigned to right now. Do any of the projects that you’re working on right now solve that problem? Do they help get new customers up and running, or do they help get new customers up and running faster? If they do, then those become a bigger priority for you, because you want to align your work with the strategic priorities. [00:09:45] Now, when I was working for the Fortune 500 company, I was working on software distribution. How do we push software out to systems all over the company? Now, that was a good project and we did some really cool technical stuff, but it really wasn’t strategic for the company, and I’ll get into that a little bit more later. But in my situation, I felt like, “Man, management just doesn’t get it.” So what can you do if you’re working on a great project but management just doesn’t get it? [00:10:13] Well, if they don’t see how important a project is, there are a couple of things you can do. First, you want to align that work that you’re doing with the strategic imperative, or you want to invest your time in a different project. That’s really what it comes down to when you start to think about the strategy. So let’s talk for just a minute about aligning with a strategic imperative. [00:10:34] Is there a way that your project directly supports the big company goal? And so, maybe it’s about customer acquisition or customer set up, just that key thing that I was just talking about. In which case, you’ve got a clear and bright line that defines why this is really important. And I think you’re already in the right spot. But what if it doesn’t? What if what you’re working on is not about new customers set up, but it’s really about operating efficiencies, how to make things go faster with less care and feeding? So you’re not directly responsible for customer set up, but is it possible that your project, when it gets launched, is going to reduce maintenance enough that the people who would be doing the maintenance are now free to focus their attention on the customer acquisition or customer set up problem? And if so, then tell people that. “Hey, as soon as we deliver this, or in the process of delivering this, we’re going to be able to empower, extend, expand our capability.” You want to let people know. [00:11:37] And if not, then can you think of a way it could contribute? Maybe today, the scope of the project doesn’t include that, but what if you change the scope just a little bit? Is there some way that you could move just a little bit one way or another that would allow you to tie into that strategic problem, and then give you the support that you need organizationally. [00:11:57] Now I have to say, when I was working for the hotel company and I was using software deployment to solve problems on computers with viruses, as well as get a reservation system up and running, I loved that project. I loved that work. I could see exactly how it was helping our customers, and it was helping with our sales, and it was fantastic. But the problem was that I was part of a hospitality brand. I wasn’t part of a technology firm. And the company saw value in the software distribution stuff but really, it was fairly limited in terms of the value that it brought. And I invested a lot of energy in that, thinking that it was a strategic help to the company. Don’t get me wrong. It helped the company, but it didn’t help the company enough to continue to get the support that we needed to do it organizationally, or to help me from a career standpoint. [00:12:49] And what if you’re looking at your projects and you’re looking at the strategic problems the company’s working on, and you just don’t see any way that your project is tied into a strategic problem. Well, I have to tell you, it was painful for me to recognize that when I was working on software deployment. And there’s only so much value to those solutions, no matter how elegant they are, no matter how cool they were, no matter what great things they did. They only did so much. And if that’s the case, maybe what you’re working on just isn’t that important to the organization, and if you want to have your career continue to move forward, you probably are going to need to look for opportunities that you can work on projects that really do tackle the big rock problems that the organization is having. [00:13:35] I spent too long working on projects like software deployment that just didn’t have enough value to the organization, and I missed out on career opportunities because of it. In the time that I worked there, I was there for ten years for heaven’s sakes, I could have changed jobs, I could have changed departments, I could have even changed major divisions, and I could have continued to help the company solve big problems. I stuck around because I loved what I was doing and it limited me. I think I could have found a job that I loved in another part of the company that I would have been happy with, too. I just wasn’t looking because I thought, “Ooh, this is really important.” Unfortunately, it wasn’t important enough. [00:15:17] Now, one other thing that was a painful for me to learn was, after I stepped out of a role, I needed to let go of it and let the company do with it whatever they wanted to do. In some cases, they actually decided to dismantle some of the things that I was doing, and that hurt my pride a little bit. But that’s not my job anymore, I needed to let it go. Something to think about. [00:15:39] So to wrap up on this topic, what are the big problems the company’s trying to face? How can you arrange your work so it aligns with solving those big problems rather than some cool elegant niche problem you’ve been focused on? And already, can you see a natural alignment between the work that you’re doing and these big rock problems? And if not, can you find a way to have that alignment be there? And if that doesn’t work, maybe it’s time to start looking for a project that really does align with some of the big rock challenges that you’ve got. So when it comes to career strategic planning, you want your time, your energy, your talents applied to the stuff that the company considers most important. When you’re doing that and you’re delivering, the company’s going to value you very highly. It’s going to help your career move forward. And that’s today’s mentoring segment. [00:17:17] Well, Jeff, it’s a great time to be asking. As I’m recording this episode, it’s the time of year when folks start thinking seriously about annual goals for team members, and how do we create development plans, and what are we going to do? In some of these cases, you’re responsible for a team, and you’ve got to come up with ideas about how to help team members to grow and I’d be glad to help you with that. In other cases, you might be thinking about yourself, and how to pick which things you want to work on this year to help grow your skills. Either way, I’ve got a couple of quick ideas that may be helpful. [00:17:50] But let me just take a step back for a minute and talk about a couple of principles. First, nobody in the history of time has ever gotten a bad review because they made their bosses life too easy, all right? If you can make your boss’s life easier, it’s going to make a big difference for you. So when it comes to your personal development plan, if you look for ways you can take work off your boss’s plate, it’s almost always going to pay off for you. [00:18:19] Secondly, it is far easier to edit something that’s already in existence than it is to author something that doesn’t exist yet. Whether you’re talking about a plan for yourself, or a plan for your team members, if you’ve got something written down, it makes it a ton easier to get it actually implemented. [00:18:41] So let’s talk about your personal plan. The first thing you want to do is come up with some ideas that stretch your skills in a specific area that also happen to make your boss’s work life easier, and write it down. It doesn’t have to be a huge breakthrough, but it could just be incremental improvement. See, the thing is, most of the time when we’re evaluated, there wasn’t objective evaluation criteria defined at the beginning. And so, it’s a very subjective experience. If you can help provide some objective information, some objective measurement, it’s going to make a big difference for you. [00:19:20] So, think about it, come up with a plan, and write it down. When you do that, you’ve already made it easier for your boss, and you may be astonished. There’s such a strong likelihood that what you put on the plan will actually become your plan. So let’s walk through a specific example. [00:19:42] Let’s say that you’re creating a professional development plan for one of your team members. And the first job of a leader is to define reality. That’s lay the baseline. What is it that you need done? Where are we now? How does this work? So first, what we want to do is define what needs to happen this year. I got a client who says he’s got a major software development effort happening this year and he wants to come up with a development plan for one of his team members. Now, the project’s important. If everything goes at a minimally acceptable level, what would minimum success look like? First job of a leader’s to define reality. What we want to say is what does minimum success look like? [00:20:27] Now, in this case, it’s a couple of different items. First, delivery of required new functionality to the production system before the regulatory compliance deadline with very few unexpected outages or fire drills for the team between now and that deadline. If we’re going to deliver minimally acceptable work, what skills does a developer need to stretch to make that happen? Now, for this particular developer, it’s not a lot. They need to think a little bit better advanced planning, a little more coordination with their team members so they know, “Hey, I’m making this change in two weeks and we’re going to have to work the weekend to make that happen.” And also, give the boss a heads up about plan changes. And the developer’s already doing a decent job with that. But that’s minimal acceptable level and that’s to get an average review. [00:21:16] Now, what would exceptional work look like? See, we start with the baseline of what would minimally be acceptable, then what does exceptional look like? In this case, the features are delivered on time, just as they are in the minimally acceptable level. There are no fire drills. And again, there could be overtime or weekend work, but we got to be able to plan for that. Next, we’re going to spend less time in ping pong between the customer and development about the details of the requested features. And finally, the customer needs to be happier. So exceptional success is we’re going to deliver all the functionality but it’s going to be no fire drills, and the customer interaction is going to be more efficient, and the customer’s going to be happier. [00:21:59] Now today, the boss is pretty heavily involved in nailing down requirements from the customer and the business analysts. So if the developer gets the requirements and as long as the developer understands the requirements as written, he writes the code. But doesn’t really take a lot of ownership in making sure that the code delivers business value, or if there’s any ambiguity about what the requirements mean, rather than chase that down, what he does is ask the question in the comments and assign the ticket back to the business analysts. So essentially, the developer is expecting the boss or the business analysts to handle that. [00:22:35] Now, one specific way that this developer could help his boss, help his customer, and deliver more value, is take ownership of the product itself. Now, not become the product manager, not become a business analyst, but rather than acting as an order taker, he can engage with the business analyst. He could take ownership of the set of features and collaborate with them to make sure that the work really adds business value. Again, not talking about becoming a business analyst, we’re not talking about becoming product owner or a product manager. But rather than just saying, “Hey, I don’t understand this,” and throw it back over the wall and wait for an answer, what we’re talking about is taking ownership and follow through. [00:23:18] So this is what the development plan might look like for that coder. First, take personal ownership of feature delivery. That means you reach out to the customer or the business analyst depending on the relationship, rather than wait for them to come to you. And you respond, you’ll take initiative. Second, you’ll be proactive in reaching out. So you’re going to set up meetings, you’re going to make calls, you’re going to do the follow ups to make sure that what we’re doing is actually delivering value. And number three, during the regular one-on-ones that the developer and the boss are going to have, the developer’s going to be responsible to let me know, let the boss know, about your progress with those outreaches, meetings, and follow ups. It helps keep the boss in the loop, and also makes sure that the boss is not having to do that work. [00:24:06] Now, you come up with your development plan for Joe, your developer, and when you sit down with Joe, you might say something like this. “Hey Joe, we’ve always asked you to deliver great work as a developer.” As you know, there are three parts to deliver great products. First, using strong technical skills to deliver those products that solve business problems. Number two, working with other people to make that happen. And number three, understanding our client’s business problems so well that we actually know that we’re solving those. So this year, I’m going to ask you to stretch your skills when it comes to the business problem part of the picture. I want you to take ownership of answering a couple of questions for each of the feature requests that show up in your work queue. [00:25:49] Now, the beauty of this approach is that it’s not rocket science. It’s relatively straightforward and you can easily document whether he’s giving you the updates during your meetings. And if he’s not, you can remind him that he agreed to do that. You can also talk to the business analysts, talk to the customers, and assess how well-prepared Joe is to help them achieve their success. Once you’ve got some clarity about that, you can talk about how to help him do things differently. “Hey, next time I need you to call them. Next time I need you to go see them.” When you’re defining your professional development plan, you want to make the behaviors that you need to see small, measurable, and easily achievable. Once you’ve done that you want to write it down, and then just hold them accountable to deliver. And I’ll tell you, it’s not rocket science but you will be shocked at how effective this is. [00:26:46] So Jeff, I hope this answers your question about how to create a professional development plan for team members. And that’s today’s Coach’s Mailbox segment. Tom: [00:27:15] So we talked about two big ideas. The first big idea, how to decide from a career planning perspective where should you invest your time and how can you decide which project should be a priority for you. Making great decisions requires you to understand what the company’s trying to achieve and that includes knowing how painful those problems are, and how big the value of the projects is to the company. Now, the other big idea we talked about is how do I develop a professional development plan for myself or for a team member? For this, success requires you know what matters to your boss, and you look for ways to take work off your boss’s plate and ways to make your boss look good. Once you know what things you need to do, you write it down, and you ask for their input. [00:28:04] For today’s Episode Hack, I want you to take some initiative. I want you to find out what the major goals are for your company this year. Once you know what the goals are, I want you to look for ways that the projects that are already in your work queue, the stuff that’s already on your plate, how does that relate to those big problems the company is trying to solve. Today’s hack is for you to be able to say out loud how the work that you and your team are doing maps into what matters to the company. When you’re able to say out loud how the work you’re doing is tied to company goals, it will help you make all the other decisions you need to make about how invest your time, how to balance competing priorities, when and how to assign people to projects. And that’s today’s Episode Hack. [00:28:55] Thanks for listening to this episode of Becoming a Geek Leader. You can play a part in helping the podcast to grow. If you enjoyed it, please do me a favor. The way to get the podcast to grow is for you to go to iTunes and give it a rating. If enough of you give me a good rating on iTunes, this podcast will show up in their New and Noteworthy section. Being in the New and Noteworthy is a great way to attract more listeners, and having more listeners helps me have the support to keep the podcast going. [00:29:19] There are three simple steps to giving me a rating. One, go to the iTunes store in the podcast section. Two, search for Becoming a Geek Leader. And three, give the podcast a great rating. And while you’re there, why not write a quick review as well? Thanks. [00:29:39] This is Tom Cooper. Thanks for listening. Be sure to join me next time for another episode of Becoming a Geek Leader. Join me in my mission of discovering better ways to lead others at work and at home.